Here you'll find information about our latest news and events. 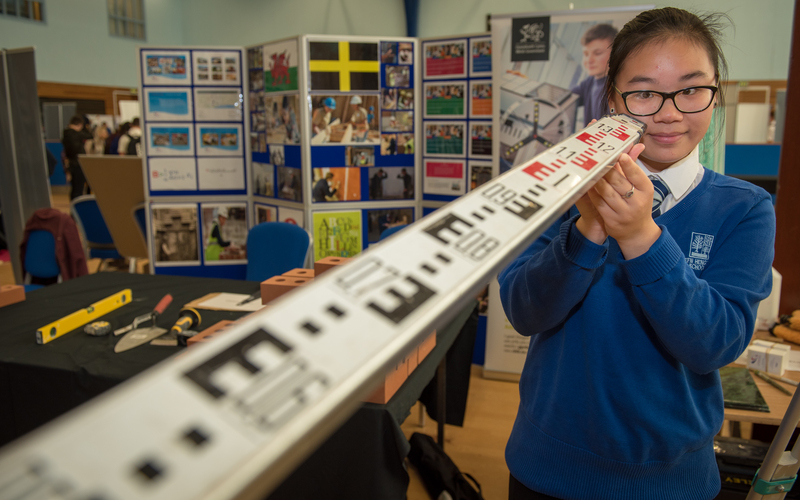 Pupils from schools across Caerphilly were challenged to put their creative skills to the test at a Careers Wales event in conjunction with the Eden Education Centre. Students from Ebbw Fawr Learning Community Secondary Campus and their business mentors, Tai Calon Community Housing Limited, have been crowned winners of the Eden Robotics ‘Green Living’ Challenge hosted by Careers Wales, Business in the Community (BITC) The Eden Education Centre and sponsored by Coleg Gwent and Merthyr College. 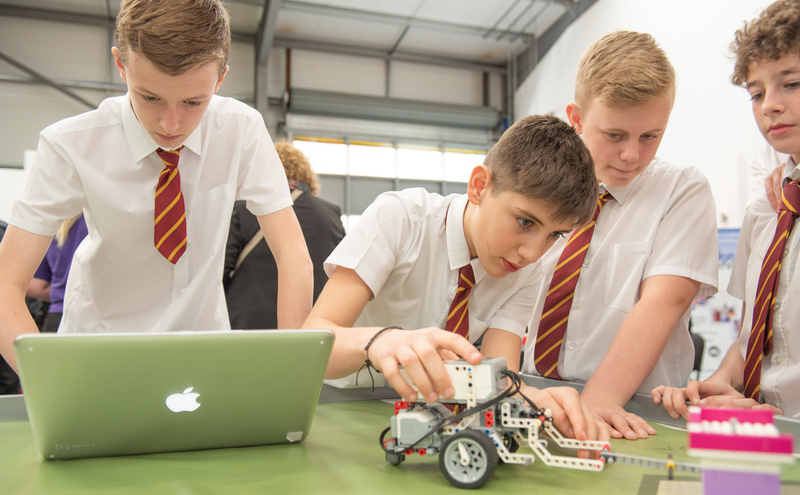 1,200 pupils and parents from Secondary Schools and FE Colleges in Cardiff and The Vale of Glamorgan got the chance to meet some of Wales’ largest employers and work based learning providers. 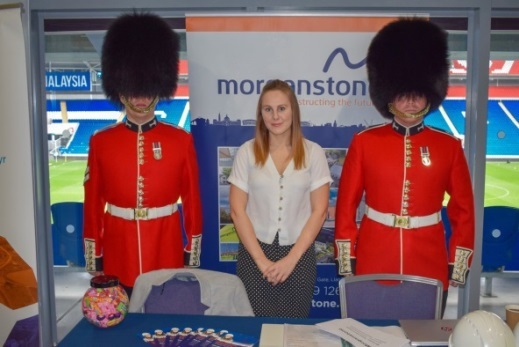 Positives Pathways Powys organised the event at the Royal Welsh Showground at Llanelwedd on Wednesday which was attended by some 3,000 students from high schools, special schools and colleges from across the county. 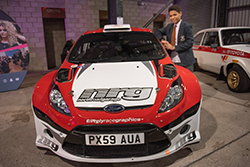 Young people from across west Wales were given the opportunity to explore the different careers paths available to them at SkillsCymru Carmarthenshire, the largest careers event in west Wales. Aberystwyth University welcomed pupils from every secondary school in Ceredigion on Tuesday 19 February, for an interactive careers and skills event. Snowdonia hotel inspires the future workforce. 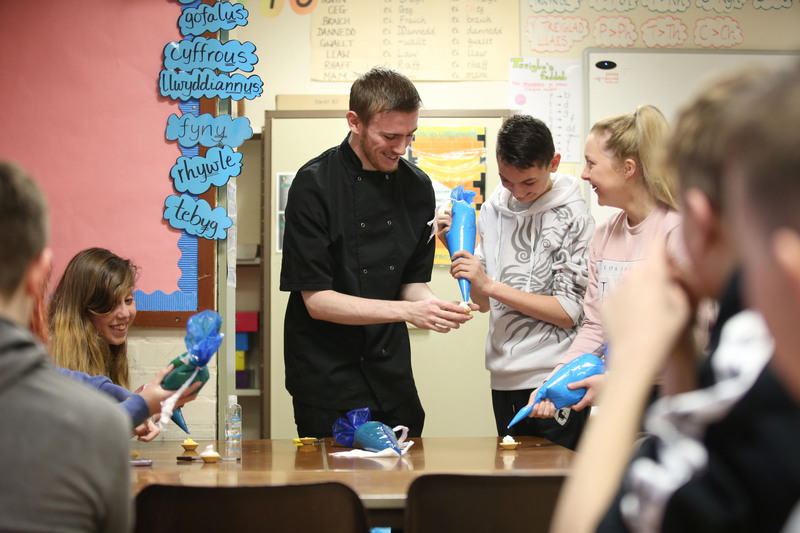 Young people have been given a taste of the Tourism, Hospitality and Leisure industry in North Wales this week in a hands-on workshop, organised by Careers Wales. 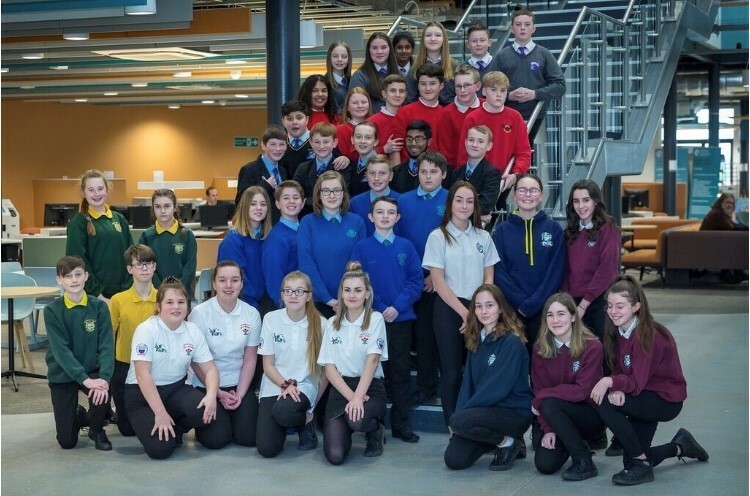 Teams of year nine pupils from local schools have taken part in a series of business challenges at a Careers Wales event held at the University of Wales Trinity Saint David’s (UWTSD) new £350 million SA1 Swansea Waterfront development. 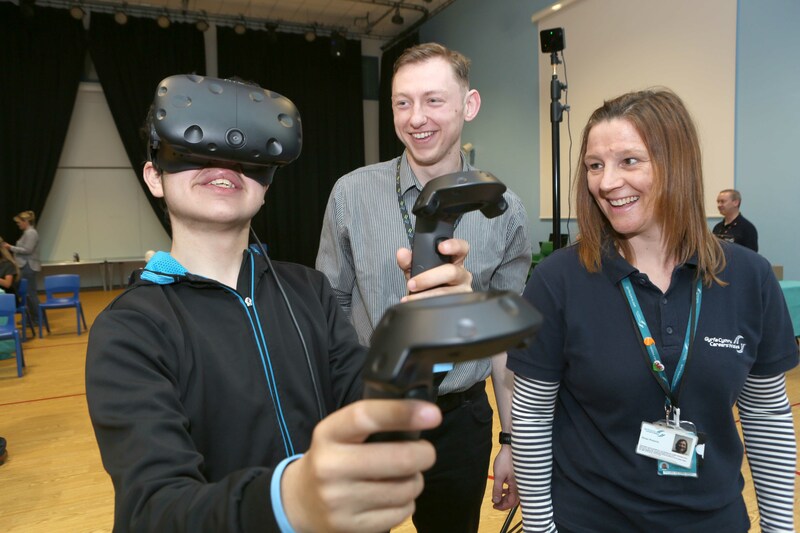 More than 400 pupils from Wrexham, 40 employers and 6 training providers gathered at the Sports hall at Glyndwr University recently for the 'Choose Your Future' Wrexham event. 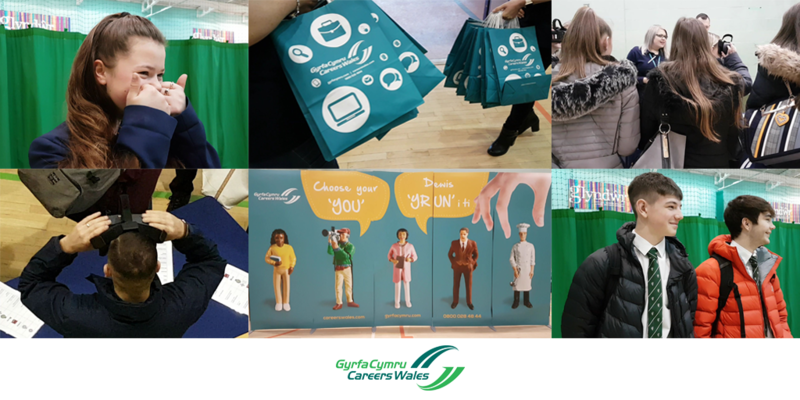 More than 700 pupils from the Gwent valleys, 38 employers and 12 training providers gathered at Risca Leisure Centre recently for the first ever Choose Your Future Apprenticeship event held in the region. 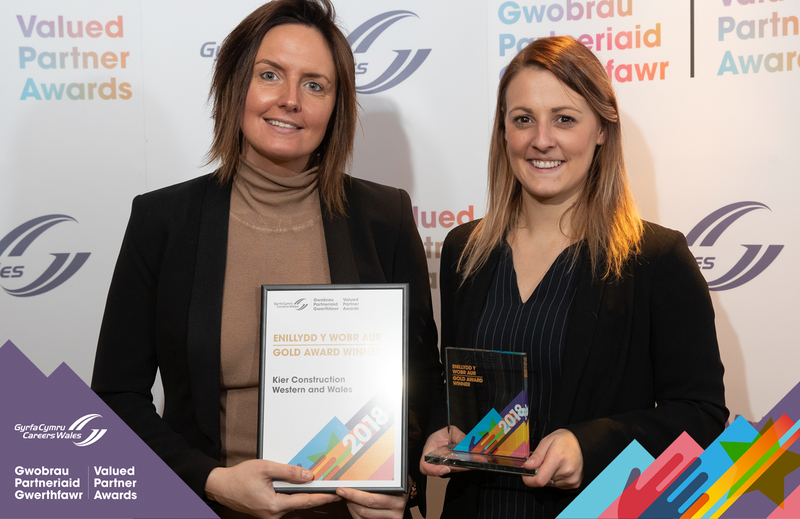 More than 50 Welsh companies have been recognised for helping school pupils across Wales prepare for their future careers. 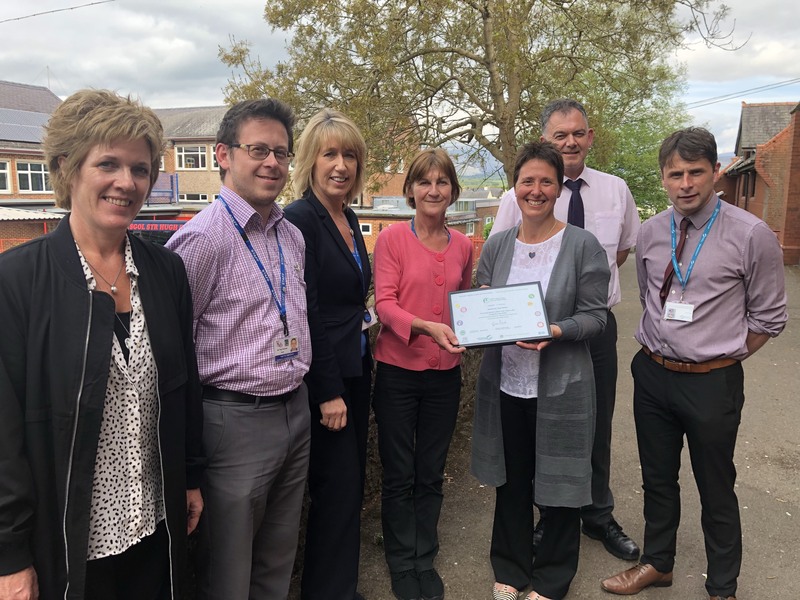 The Valued Partner Award recognises the important contribution made by those who consistently step up to support the workforce of the future. Cardiff and Vale College wins Careers Wales Mark for its commitment to employability. 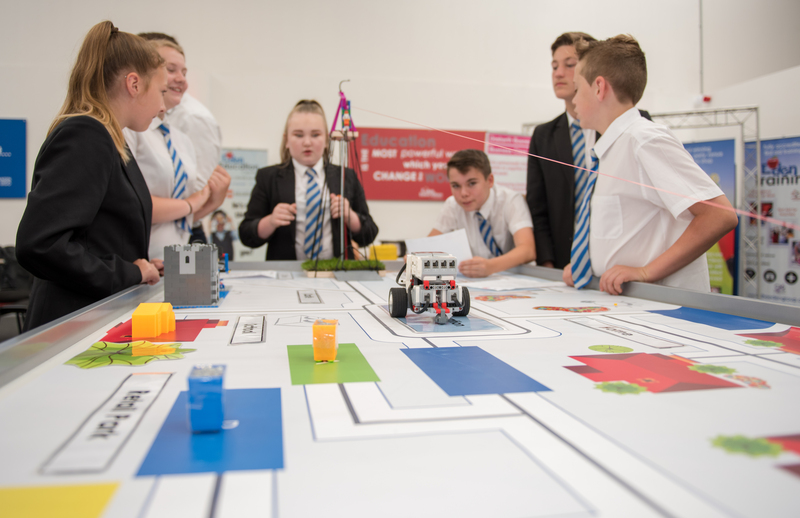 Teams of pupils from schools in Torfaen and Monmouthshire took part in a series of business challenges at a Careers Wales event held at Eden Education Centre in Abertillery. 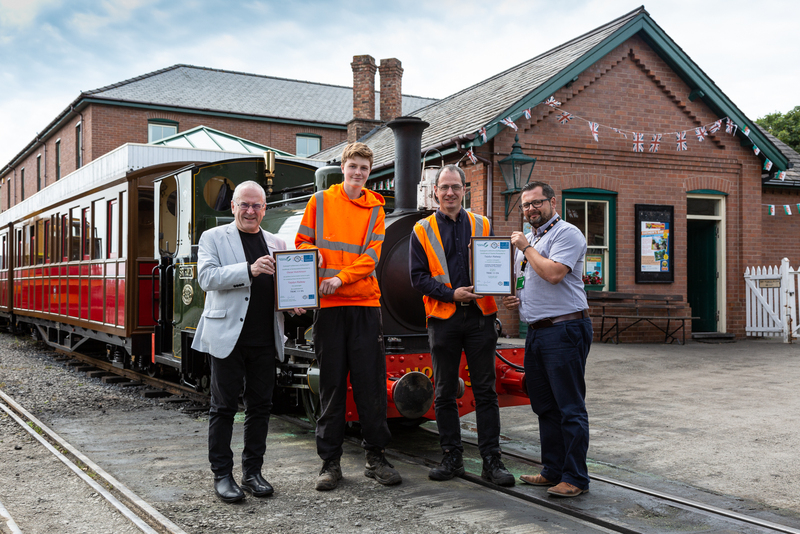 A boy from Abergynolwyn who was on an alternative education programme from the age of 14 has secured his dream job thanks to Careers Wales. 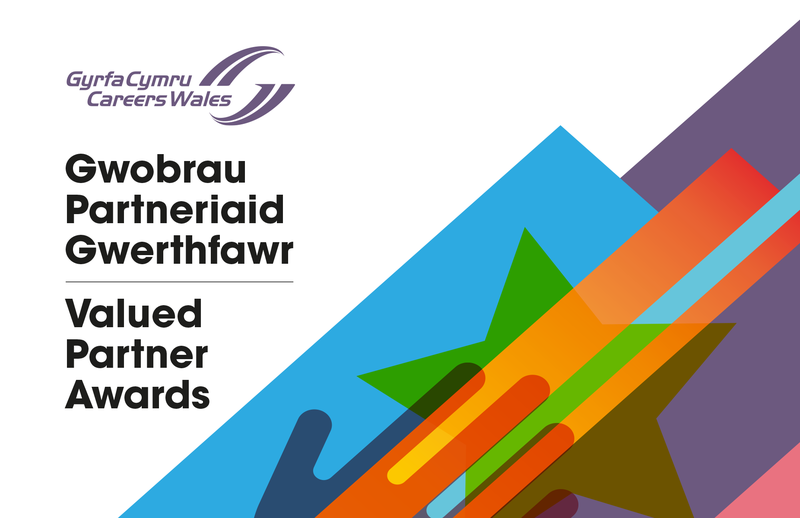 A secondary school in Gwynedd is celebrating after winning the prestigious Careers Wales Mark for the first time. 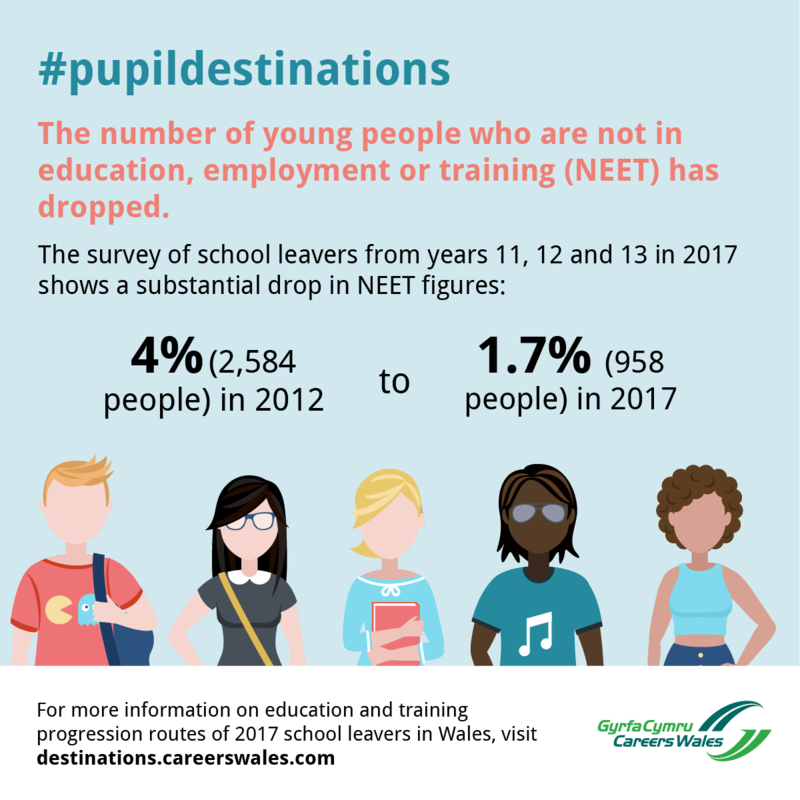 The number of Welsh school-leavers who are known to be NEET is at a six-year low, according to new research published today by Careers Wales. North Wales pupils were invited to attend a careers event at Ysgol y Gogarth, Llandudno, this week to find out about the different career opportunities available to them after leaving school. Two 16-year-old friends and former Bassaleg School students have been offered apprenticeships with Lloyds Bank, thanks to a unique partnership between the business and the school. Let’s talk Fire & Rescue Service. Join our live Webcast. Aimed at: The webcast is open to all pupils who are starting to think about what career they might like in the future and open to all year groups. Careers Wales invites you to a webcast to find out more about the Fire & Rescue Service. The webcast aims to raise awareness of career options.